Sandra Bullock is ready to part with her Georgia beachfront estate. 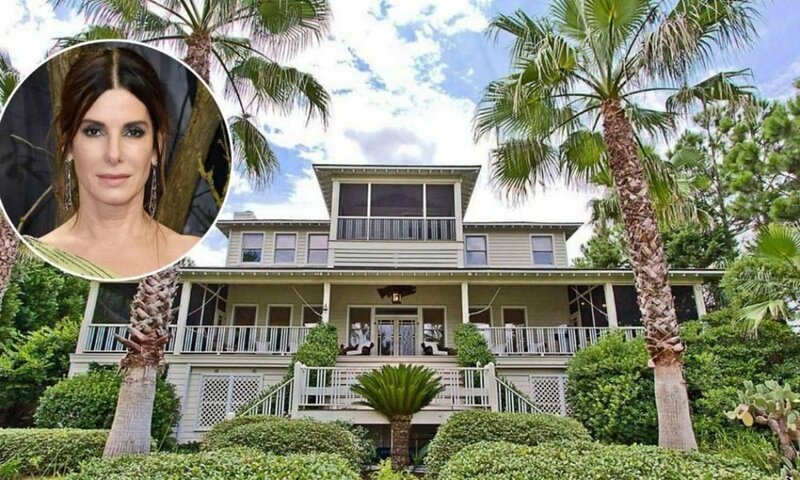 The actress, who is popular for her role in Ocean’s 8 and Bird Box recently listed the Tybee Island property for $6.5 million. Reports indicate that the holder of the listing is Celia Dunn (Sotheby’s International Realty). 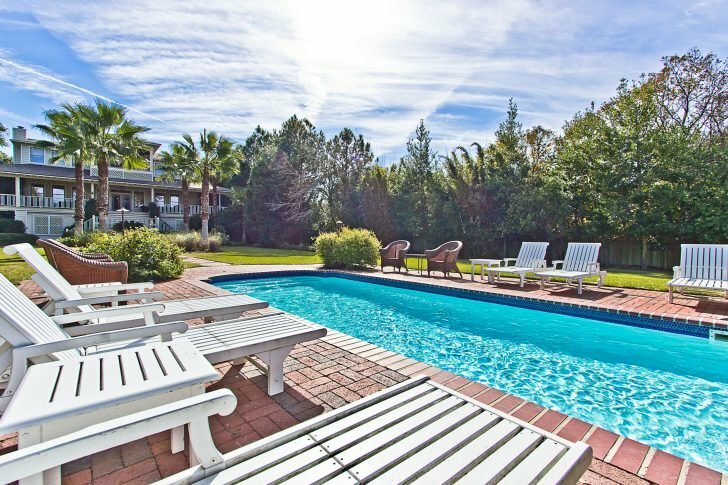 The property is just twenty minutes away from downtown Savannah. It is a 2-residence compound and sits on nearly 2.75 acres. It has a total of 7 bedrooms together with five and a half bathrooms. Sources report that Bullock bought the property in small segments between 2001 and 2002 for over $4.5 million before she later had them combined into this listed estate. Out of the estate’s seven bedrooms, four are in the main house which spans 3,360 square feet and also comes with its own gourmet kitchen, a basketball court, private home gym, and multiple screened porches. This main apartment also leads to a pool in-ground which also has a beach walk. 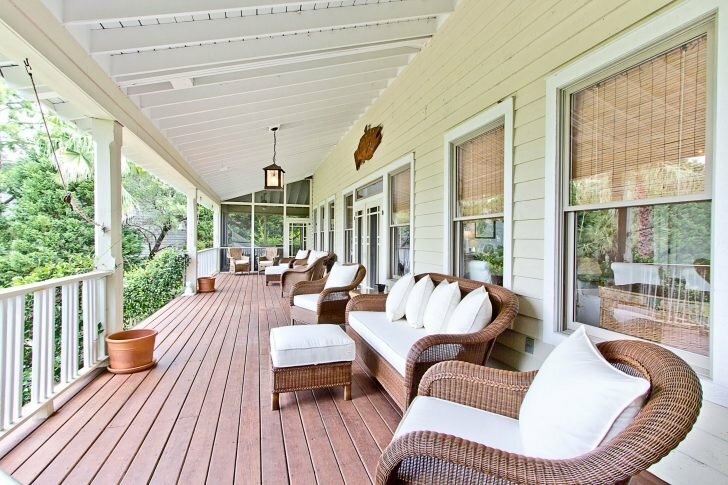 Next to the main house is the guest house which spans 2,848 square feet and has 3 bedrooms, a game room, a rooftop space that provides ocean views, and also has an outdoor grill. The two homes have aesthetic decorations that give off a laid back and airy beach vibe. 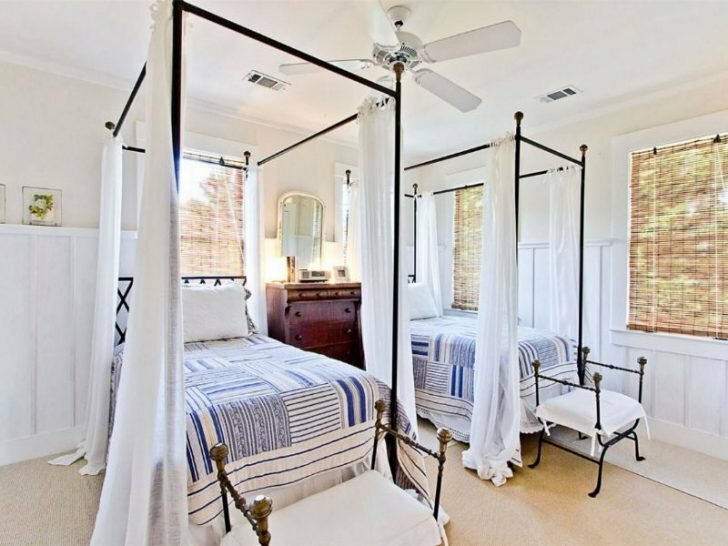 There are also several rooms that have bed covers and slip-covered sofas that are in blue and white color scheme. The listing indicates that the buyer of the estate gets it with the full furnishings, save for a couple of the actress’ personal mementos. Other sources also report that in addition to her major residence which is in Beverly Hills, California, Bullock also owns several other residents properties in different parts of the US. She has over 6 properties in Austin, Texas. Also, she is the owner of two condominiums located in West Hollywood, one townhouse in New York City, a log cabin close to Jackson Hole in Wyoming and also a house that’s Victorian styled in New Orleans. Bullock over the years, has shown that she isn’t only an Oscar winner, but she also has a thing for real estate. Reports have it that she bought the vacation home back in 2001 for a sum that wasn’t up to $4.5 million. That investment has since been paying off for her, as she has put the home up for rent since the past two years. 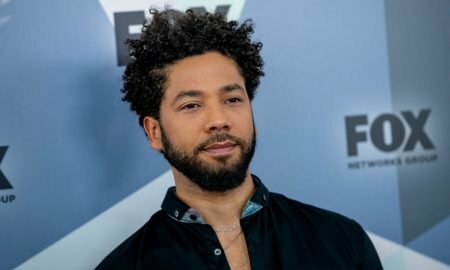 Sources report that it cost $1,400 to stay in the vacation home for one night. However, Bullock is likely not in a hurry to sell off the house. The 6.5 million asking price is way above the median listing price of the local homes that are currently up for sale. There are about 279 other active listings with a median listing of $499,900.